Tablets in a blister pack, which was itself packaged in a folding carton made of paperboard. Packaging is the science, art, and technology of enclosing or protecting products for distribution, storage, sale, and use. Packaging also refers to the process of design, evaluation, and production of packages. Package labeling (in American English; or labelling in British English) is any written, electronic, or graphic communications on the packaging or on a separate but associated label. Packaging is heavily integrated into daily life. It can be seen on everyday items such as chocolate bars and potato chip (crisp) packets. As explained below, the main use for packaging is protection of the goods inside, but packaging also provides a recognizable logo or image. Consumers instantly know what the goods are inside. Physical Protection—The objects enclosed in the package may require protection from, among other things, shock, vibration, compression, temperature, etc. Barrier Protection—A barrier from oxygen, water vapor, dust, etc., is often required. Package permeability is a critical factor in design. Some packages contain desiccants, or oxygen absorbers, to help extend shelf life. 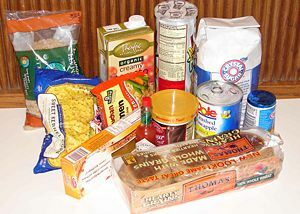 Modified atmospheres or controlled atmospheres are also maintained in some food packages. Keeping the contents clean, fresh, and safe for the intended shelf life is a primary function. Containment or Agglomeration—Small objects are typically grouped together in one package for reasons of efficiency. For example, a single box of 1,000 pencils requires less physical handling than 1,000 single pencils. Liquids, powders, and flowables need containment. Information transmission—Packages and labels communicate how to use, transport, recycle, or dispose of the package or product. With pharmaceutical, food, medical, and chemical products, some types of information are required by governments. Marketing—The packaging and labels can be used by marketers to encourage potential buyers to purchase the product. Package design has been an important and constantly evolving phenomenon for dozens of years. Marketing communications and graphic design are applied to the surface of the package and (in many cases) the point of sale display. Security—Packaging can play an important role in reducing the security risks of shipment. Packages can be made with improved tamper resistance to deter tampering and also can have tamper-evident features to help indicate tampering. Packages can be engineered to help reduce the risks of package pilferage: Some package constructions are more resistant to pilferage and some have pilfer-indicating seals. Packages may include authentication seals to help indicate that the package and contents are not counterfeit. Packages also can include anti-theft devices, such as dye-packs, RFID tags, or electronic article surveillance tags which can be activated or detected by devices at exit points and require specialized tools to deactivate. Using packaging in this way is a means of loss prevention. Convenience—Packages can have features that add convenience in distribution, handling, display, sale, opening, re-closing, use, and reuse. Portion Control—Single-serving or single-dosage packaging has a precise amount of contents to control usage. Bulk commodities (such as salt) can be divided into packages that are a more suitable size for individual households. It also aids the control of inventory: Selling sealed one-liter bottles of milk, rather than having people bring their own bottles to fill themselves. Packaging consists of several different types. For example, a transport package or distribution package is the package form used to ship, store, and handle the product or inner packages. Some identify a consumer package as one that is directed toward a consumer or household. It is sometimes convenient to categorize packages by layer or function: "Primary," "secondary," etc. Primary packaging is the material that first envelops the product and holds it. This usually is the smallest unit of distribution or use and is the package that is in direct contact with the contents. Secondary packaging is outside the primary packaging—perhaps used to group primary packages together. Tertiary packaging is used for bulk handling and shipping. Flexible intermediate bulk container, Big bag, "Bulk Bag," or "Super Sack"
These broad categories can be somewhat arbitrary. For example, depending on the use, a shrink wrap can be primary packaging when applied directly to the product, secondary packaging when combining smaller packages, and tertiary packaging on some distribution packs. 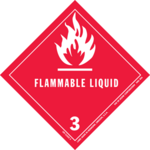 Many types of symbols for package labeling are nationally and internationally standardized. For consumer packaging, symbols exist for product certifications, trademarks, proof of purchase, etc. Some requirements and symbols exist to communicate aspects of consumer use and safety. Recycling directions, resin identification code, and package environmental claims have special codes and symbols. Bar codes (below), universal product codes, and RFID labels are common to allow automated information management. With transport packages, standardized symbols are also used to aid in handling. 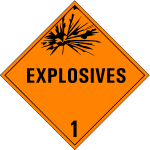 Some common ones are shown below while others are listed in ASTM D5445 "Standard Practice for Pictorial Markings for Handling of Goods" and ISO 780 "Pictorial marking for handling of goods." Package design and development are often thought of as an integral part of the new product development process. Alternatively, development of a package (or component) can be a separate process, but must be linked closely with the product to be packaged. Package design starts with the identification of all the requirements: Structural design, marketing, shelf life, quality assurance, logistics, legal, regulatory, graphic design, end-use, environmental, etc. The design criteria, time targets, resources, and cost constraints need to be established and agreed upon. An example of how package design is affected by other factors is its relationship to logistics. 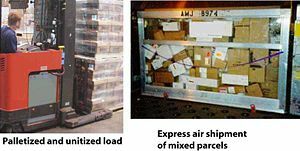 When the distribution system includes individual shipments by a small parcel carrier, the sorting, handling, and mixed stacking make severe demands on the strength and protective ability of the transport package. If the logistics system is for uniform pallet loads that are unitized, the structural design of the package can be designed to those specific needs: Vertical stacking, perhaps for a longer time frame. A package designed for one mode of shipment may not be suited for another. Sometimes the objectives of package development seem contradictory. 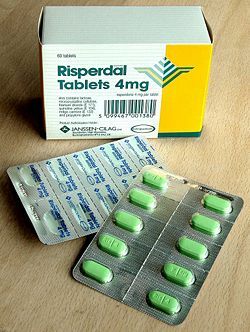 For example, packaging for an over-the-counter drug might require tamper resistance and child-resistant features. These intentionally make the package difficult to open. The intended consumer, however, might be handicapped or elderly and be unable to readily open the package. Package design may take place within a company or with various degrees of external packaging engineering: Contract engineers, consultants, vendor evaluations, independent laboratories, contract packagers, total outsourcing, etc. Some sort of formal project planning and project management methodology is required for all but the simplest package design and development programs. Package development involves considerations for sustainability, environmental responsibility, and applicable environmental and recycling regulations. It may involve a life-cycle assessment, which considers the material and energy inputs and outputs to the package, the packaged product (contents), the packaging process, the logistics system, waste management, etc. It is necessary to know the relevant regulatory requirements for point of manufacture, sale, and use. 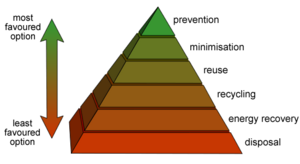 The traditional “three R’s” of reduce, reuse, and recycle are part of a waste hierarchy which may be considered in product and package development. Prevention—Waste prevention is a primary goal. Packaging should be used only where needed. Proper packaging can also help prevent waste. Packaging plays an important part in preventing loss or damage to the packaged product (contents). Usually, the energy content and material usage of the product being packaged are much greater than that of the package. A vital function of the package is to protect the product for its intended use: If the product is damaged or degraded, its entire energy and material content may be lost. Minimization (also "source reduction")—The mass and volume of packaging (per unit of contents) can be measured and used as one of the criteria for minimization during the package design process. Usually “reduced” packaging also helps minimize costs. Packaging engineers continue to work toward reduced packaging. Reuse—The reuse of a package or component for other purposes is encouraged. Returnable packaging has long been useful (and economically viable) for closed-loop logistics systems. Inspection, cleaning, repair, and recouperage are often needed. Recycling—Recycling is the reprocessing of materials (pre- and post-consumer) into new products. Emphasis is focused on recycling the largest primary components of a package: Steel, aluminum, papers, plastics, etc. Small components can be chosen which are not difficult to separate and do not contaminate recycling operations. Energy recovery—Waste-to-energy and refuse-derived fuel in approved facilities are able to make use of the heat available from the packaging components. Disposal—Incineration, and placement in a sanitary landfill are needed for some materials. Material content should be checked for potential hazards to emissions and ash from incineration and leachate from landfill. Packages should not become litter. A choice of packaging machinery includes technical capabilities, labor requirements, worker safety, maintainability, serviceability, reliability, ability to integrate into the packaging line, capital cost, floor space, flexibility (change-over, materials, etc. ), energy usage, quality of outgoing packages, qualifications (for food, pharmaceuticals, etc. ), throughput, efficiency, productivity, ergonomics, etc. Product Identification: Labeling, marking, etc. Other specialty machinery: Slitters, perforating, laser cutters, parts attachment, etc. ↑ Sustainable Packaging Alliance, Towards Sustainable Packaging A Discussion Paper October 2002. Retrieved August 11, 2015. ↑ Toxins in Packaging Clearinghouse, Toxics in Packaging. Retrieved August 25, 2007. Fiedler, R. M. Distribution Packaging Technology. Naperville, IL: IoPP, 1995. McKinlay, A. H. Transport Packaging. Naperville, IL: IoPP, 2004. PMMI - The Association for Packaging and Processing Technologies. Transport Information Service: Technical information about fit-for-purpose packaging. History of "Packaging and labeling"
This page was last modified on 9 January 2019, at 17:48.